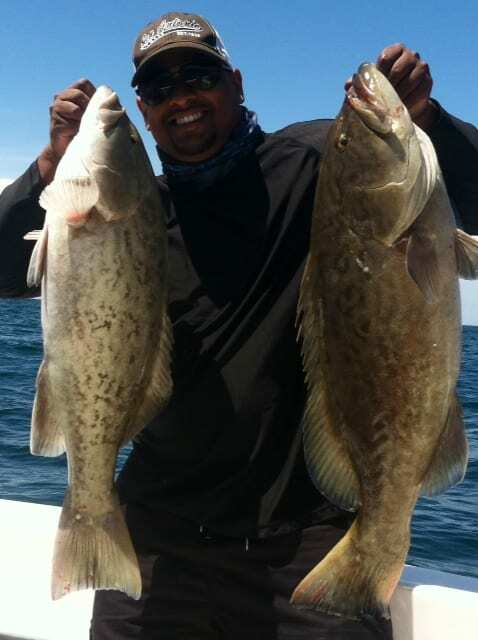 One of the fish we target in this area of Florida most often is the grouper. 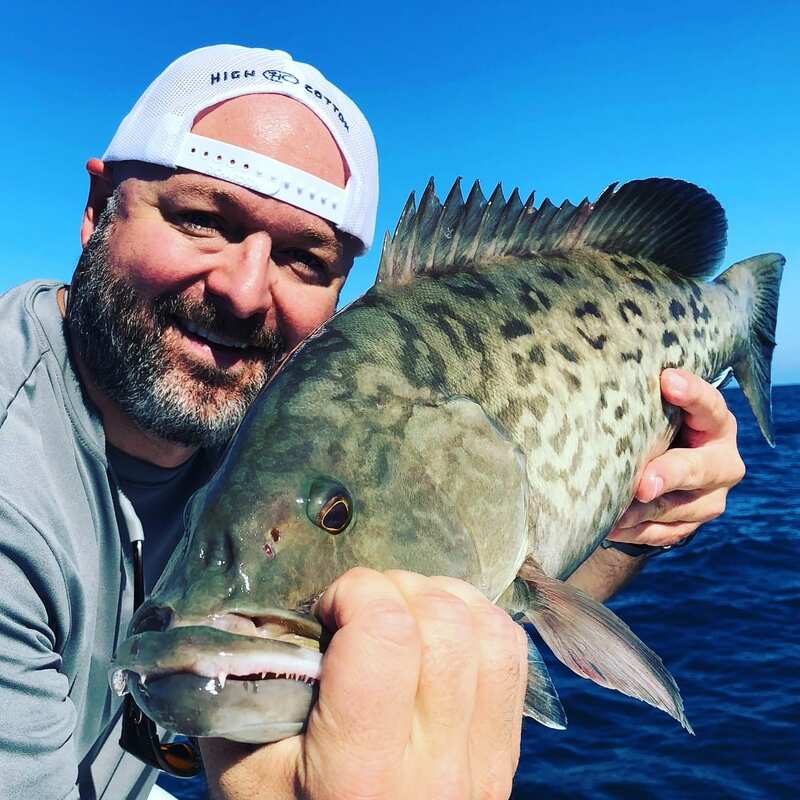 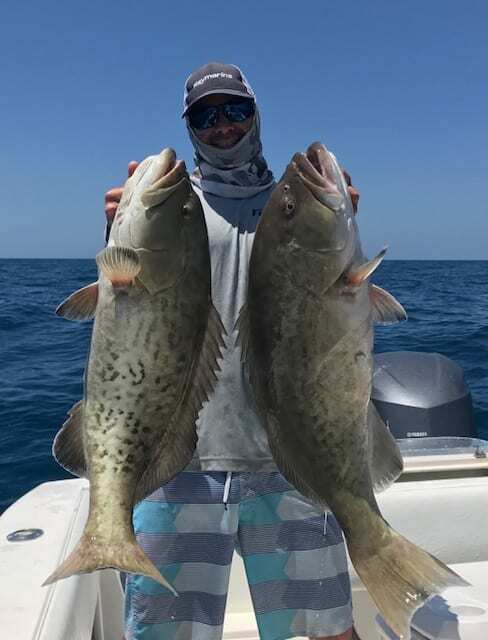 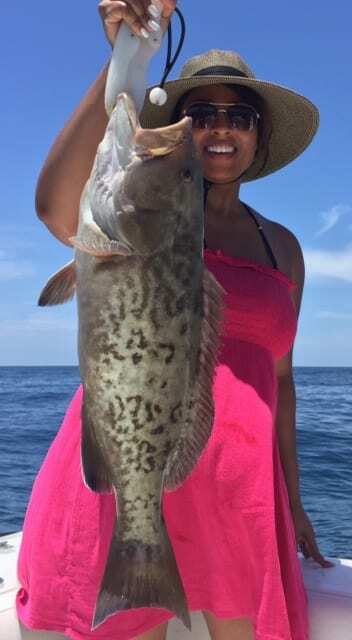 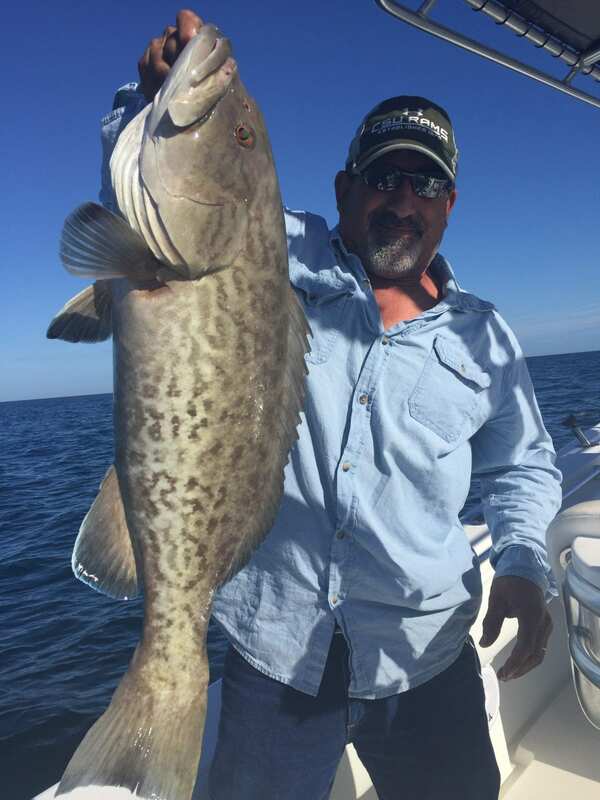 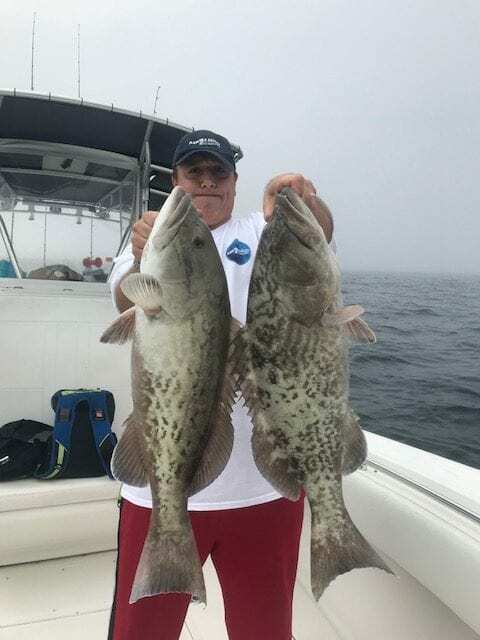 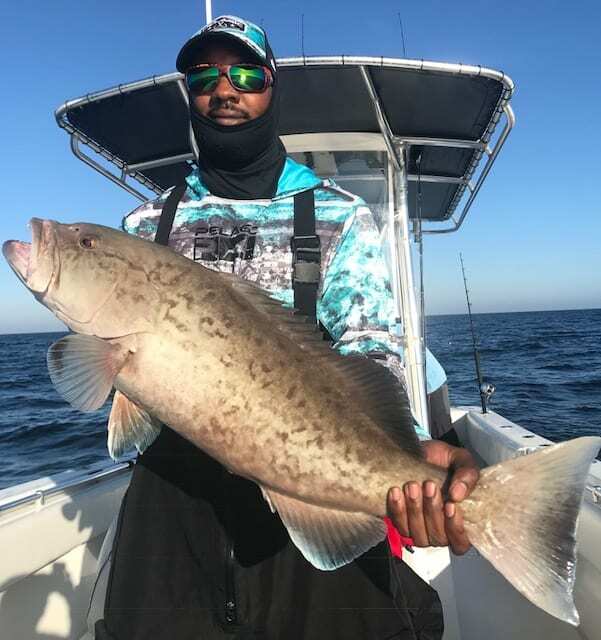 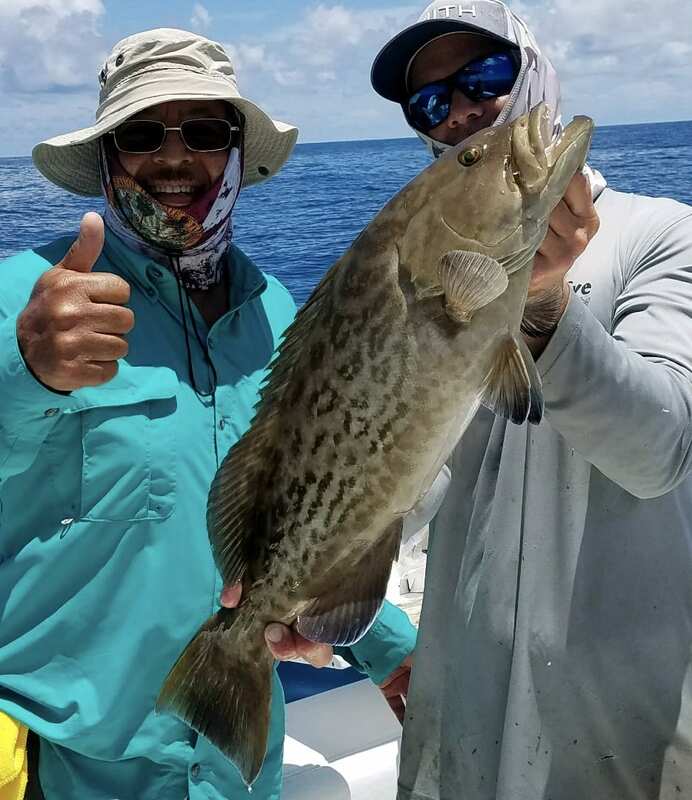 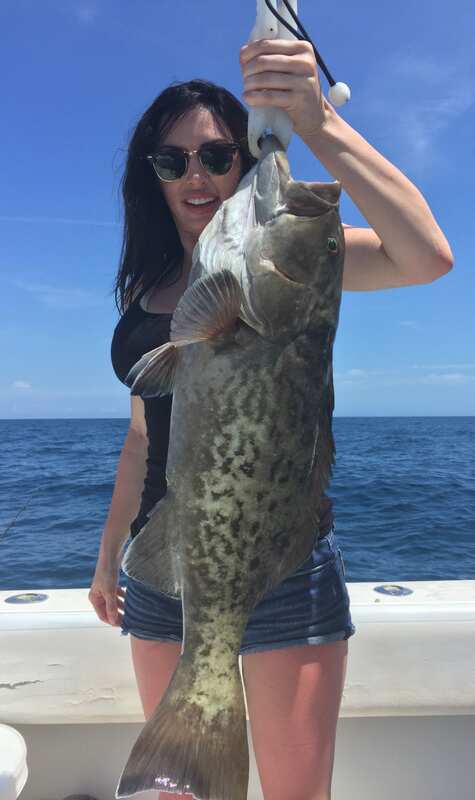 There are a number of grouper species found in the waters of Clearwater Florida, gag, red, scamp and Goliath Grouper are the most common species that we fish for. 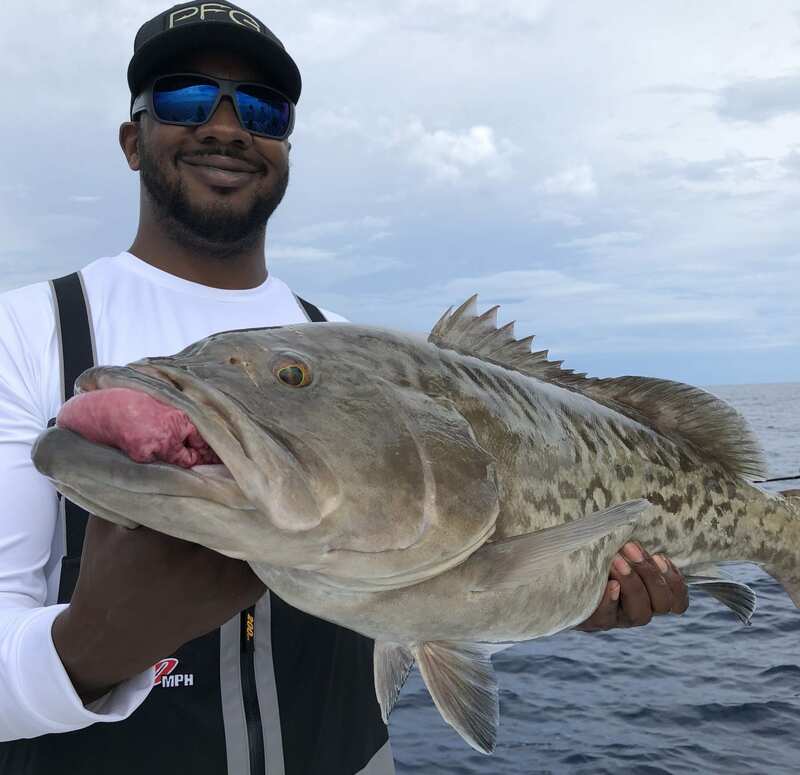 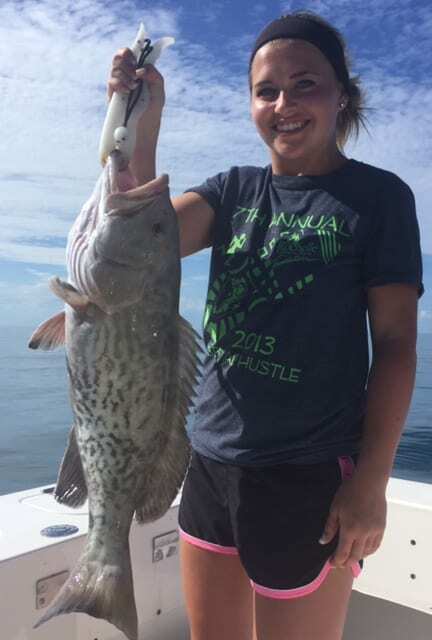 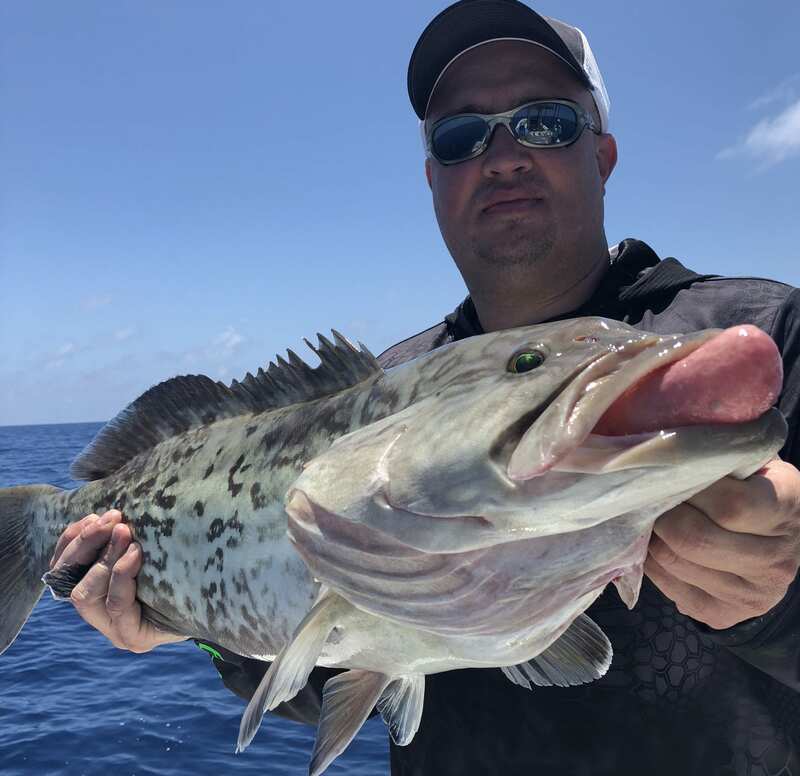 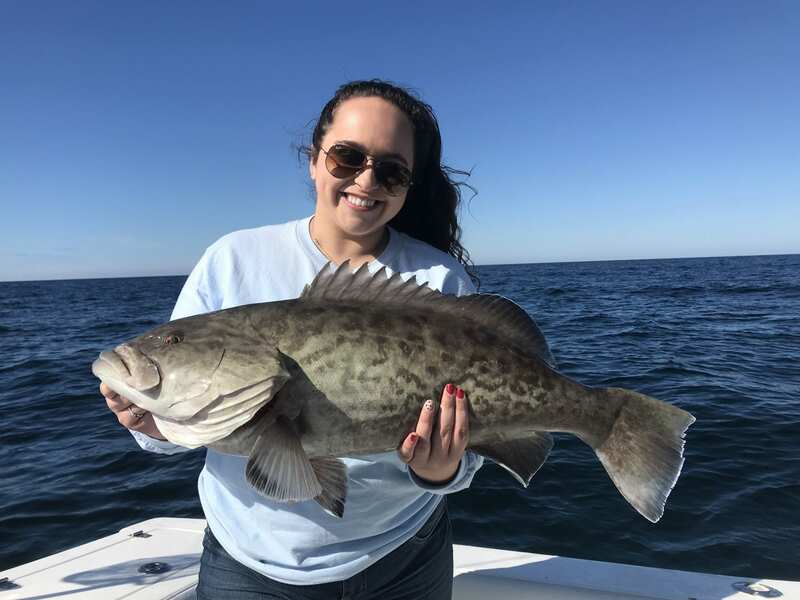 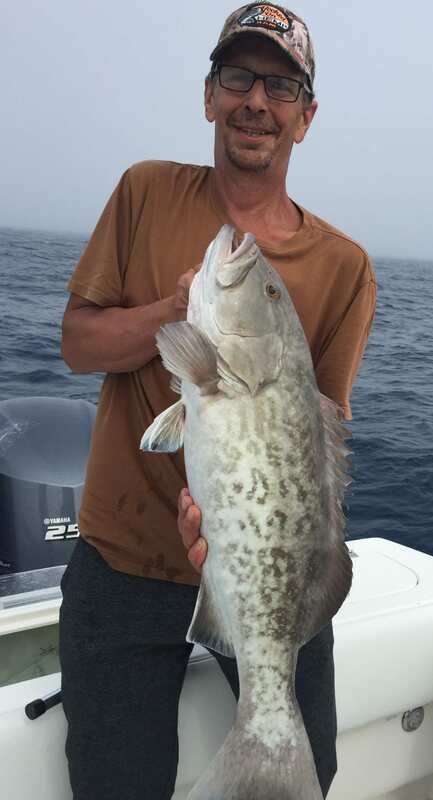 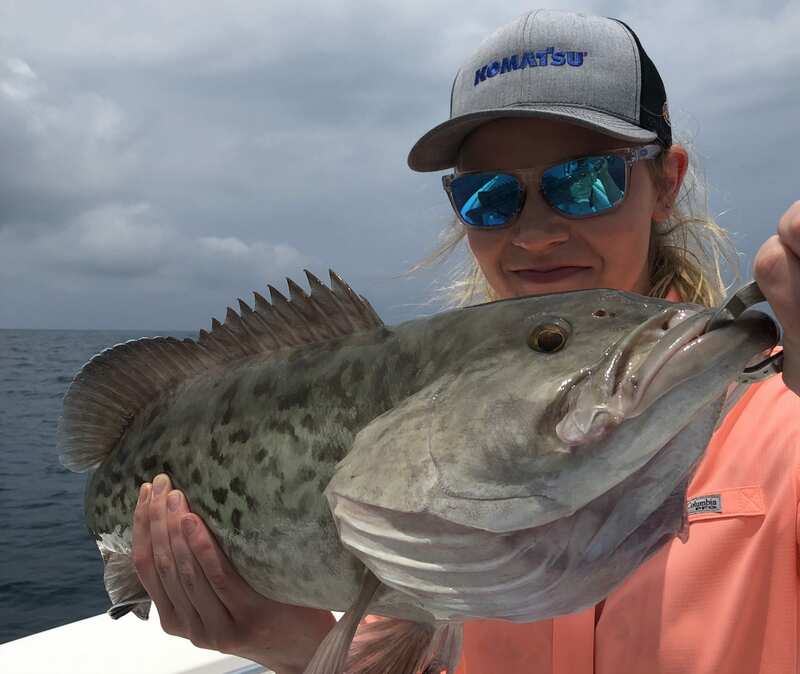 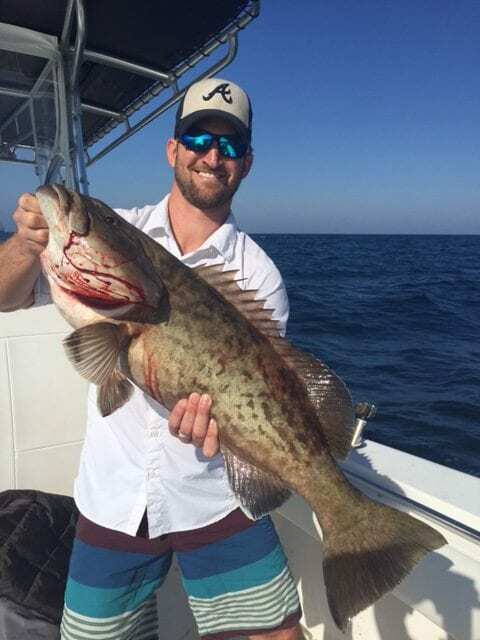 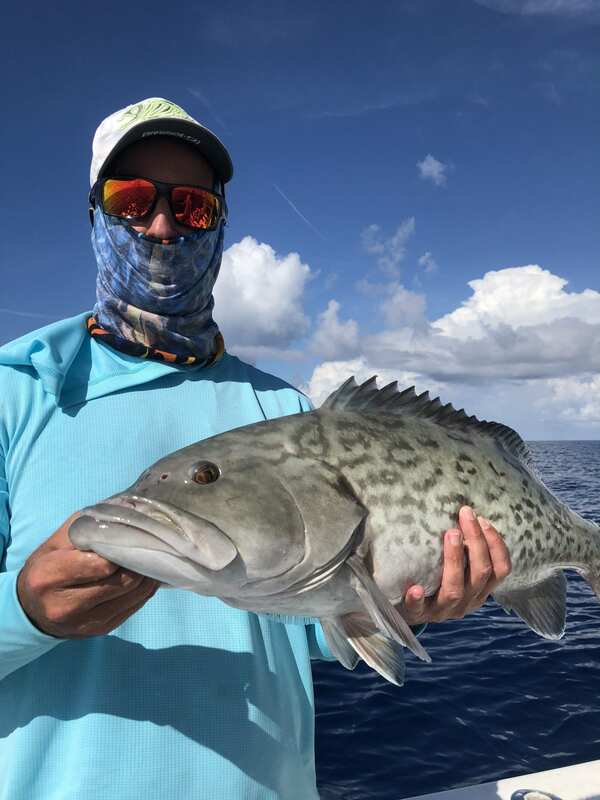 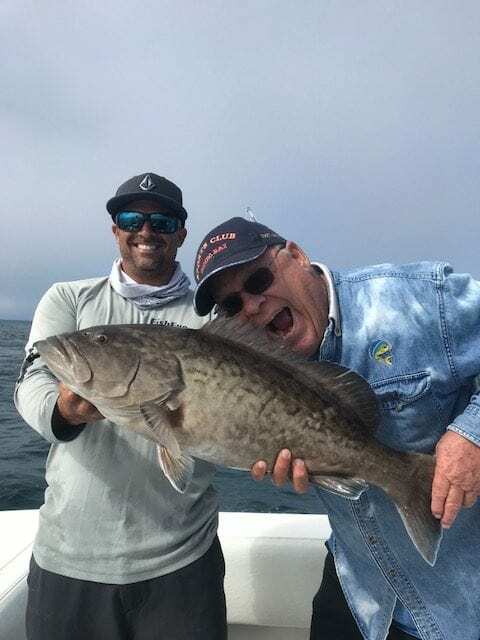 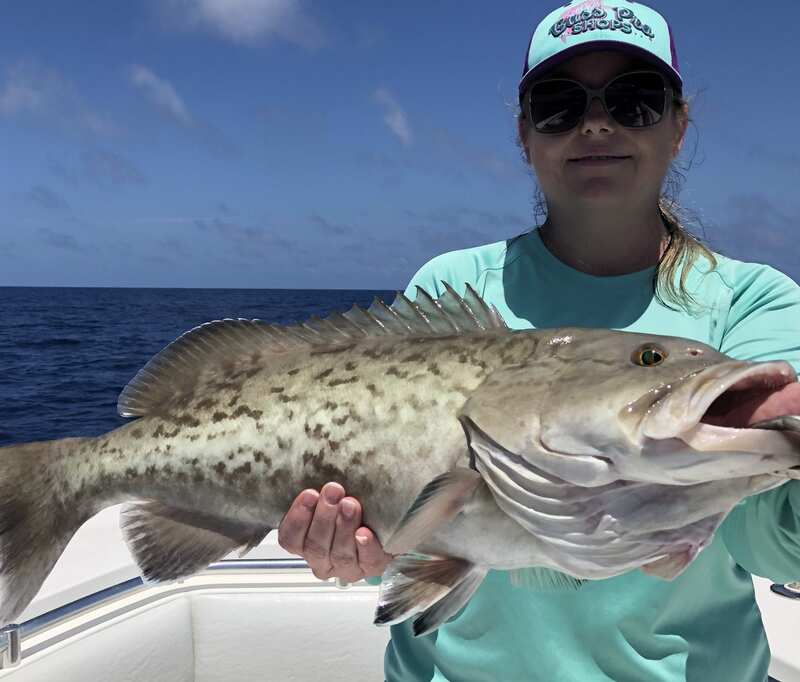 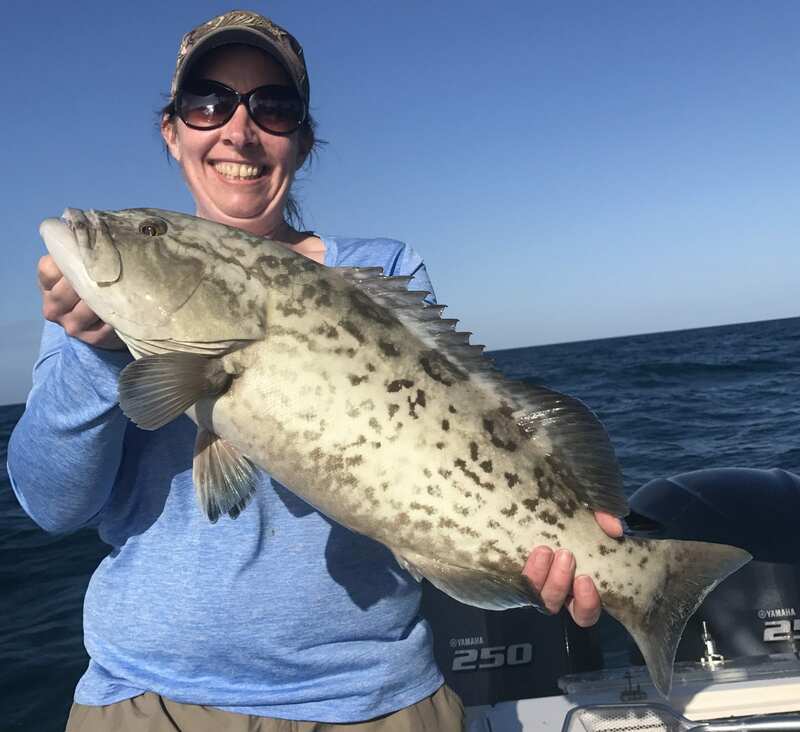 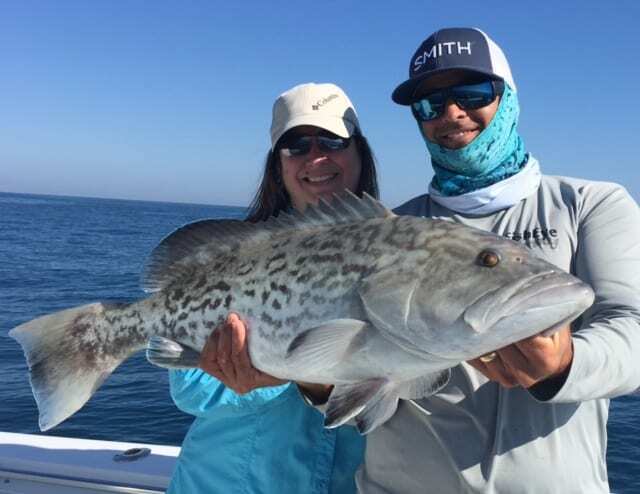 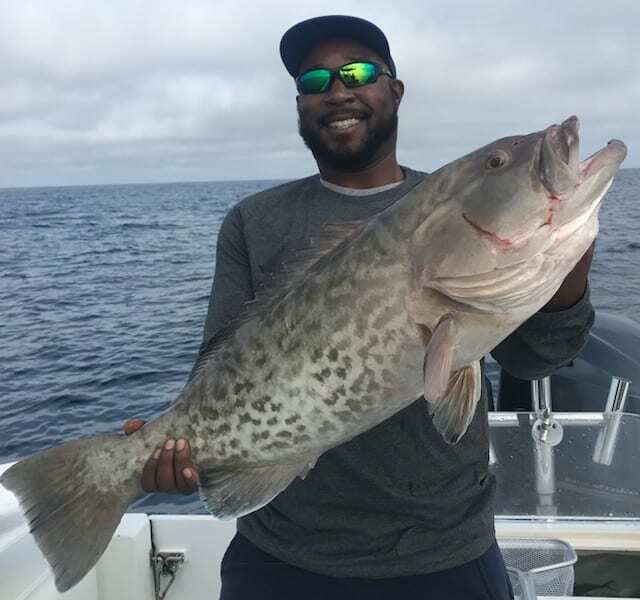 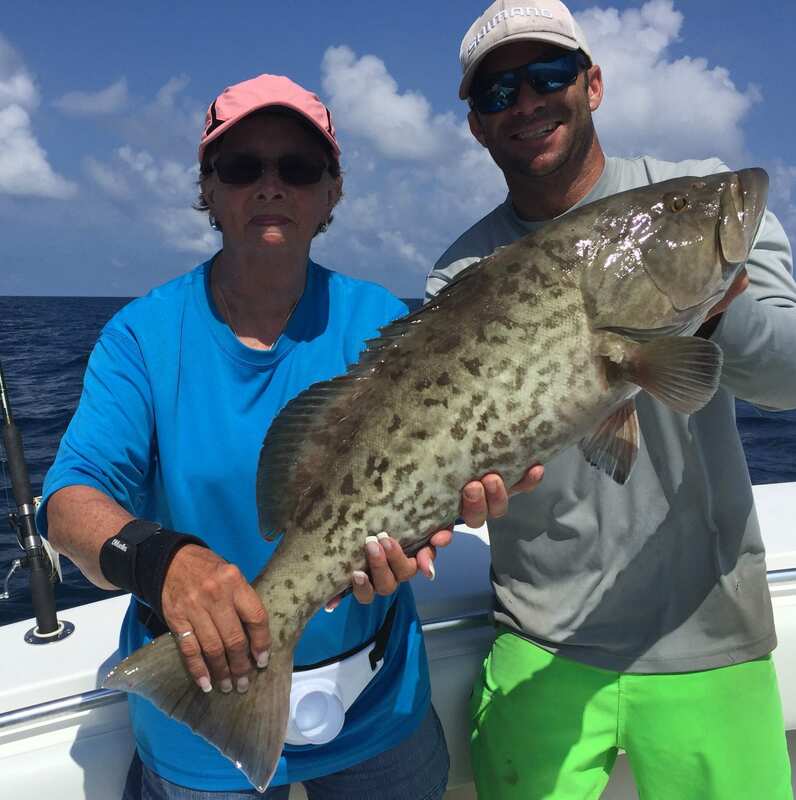 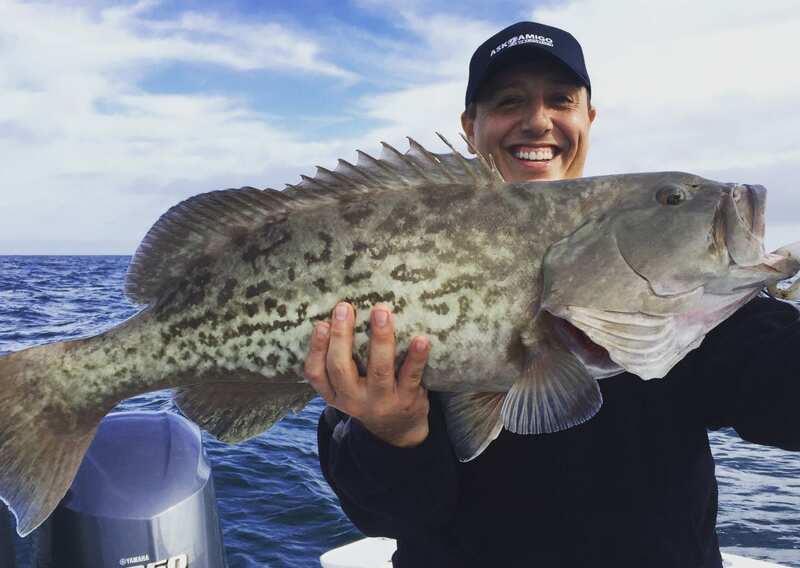 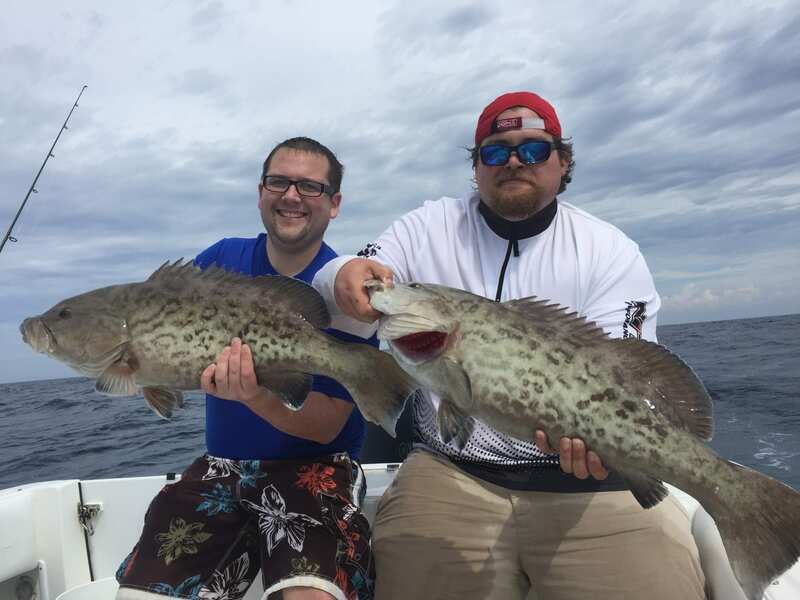 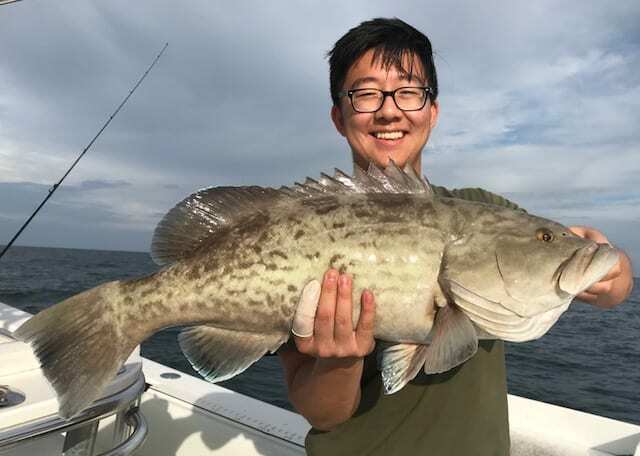 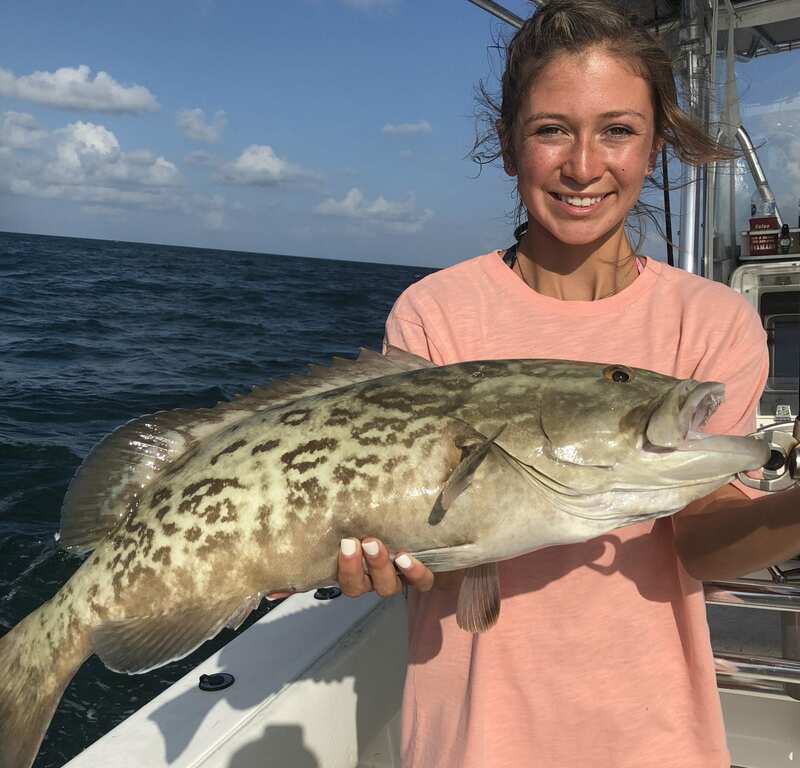 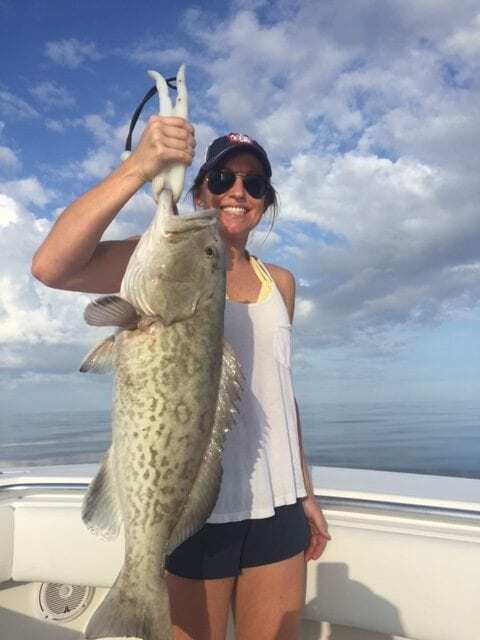 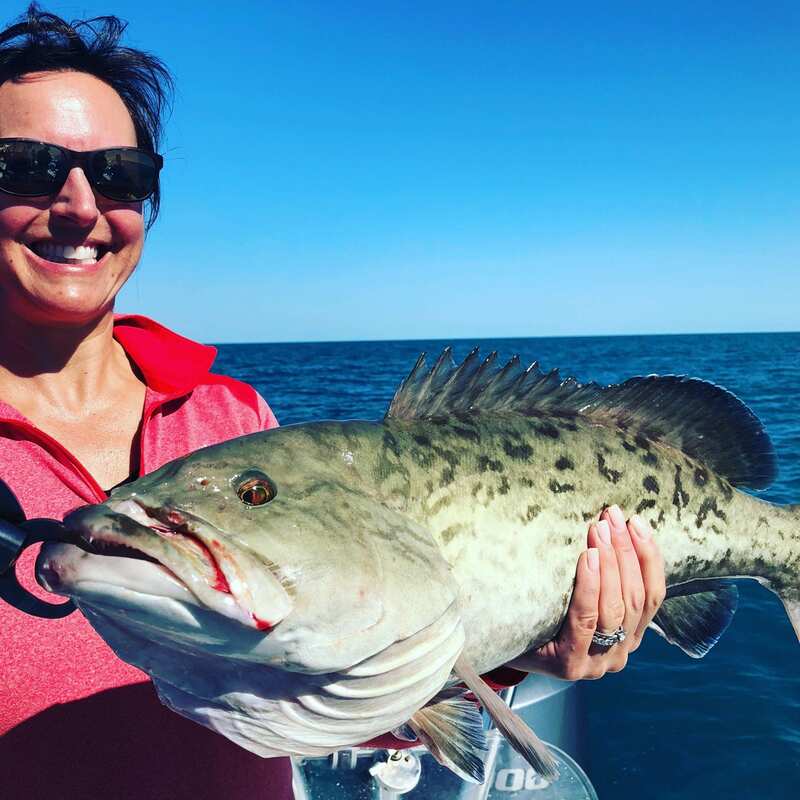 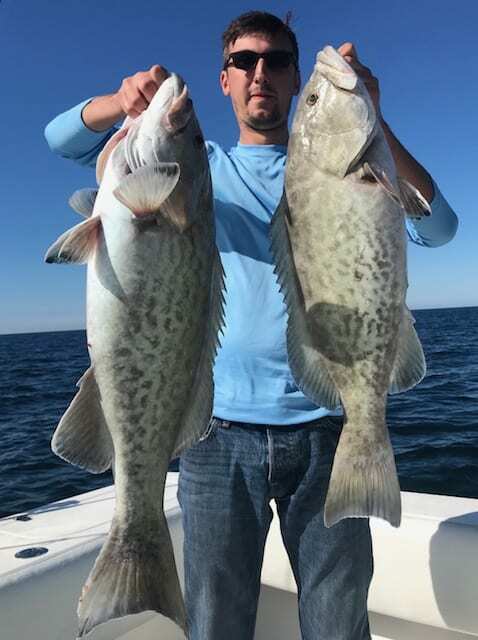 Every grouper species in the Gulf of Mexico has a size minimum size limit and a season that is governed by the Florida Fish and Wildlife Conservation Commision, for more about Gag Grouper Facts follow the link or contact us. 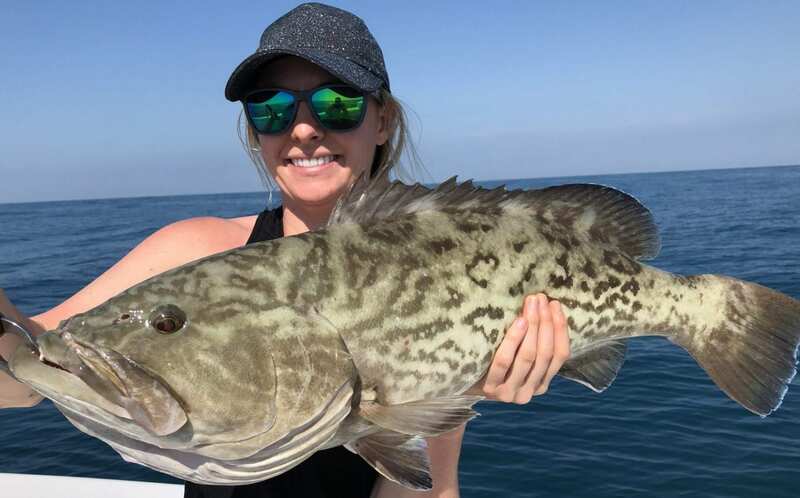 The season for Grouper Fishing In Clearwater fluctuates some every year, depending on when the targeted quota is reached. 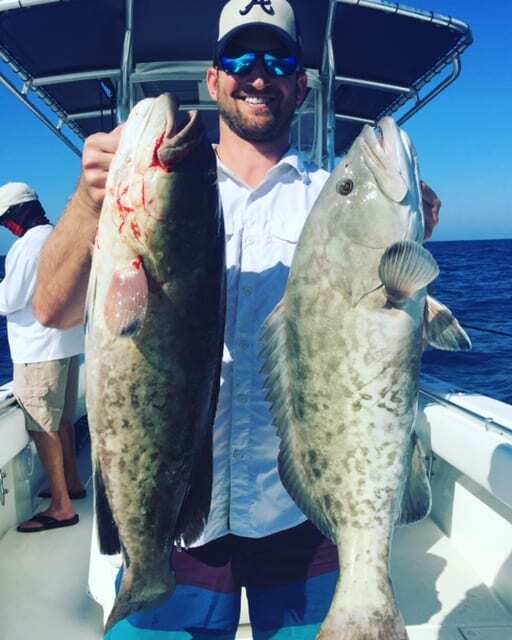 We stay on top of this so you don’t have to! 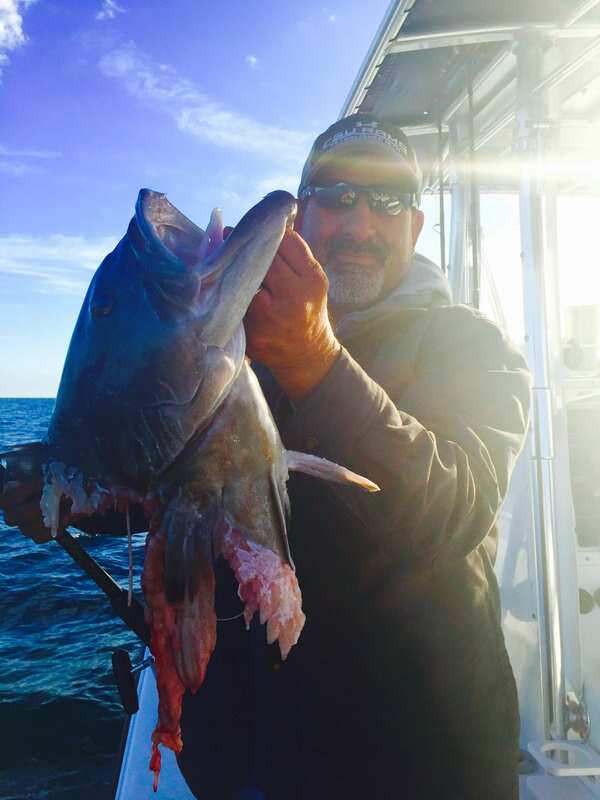 Give us a call or email and we’ll let you know what is in season. 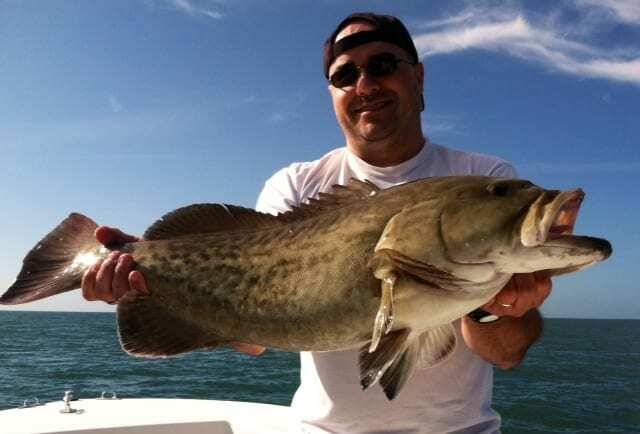 We can fish for any species year round, these season’s only affect those charters that are looking to keep their catch. 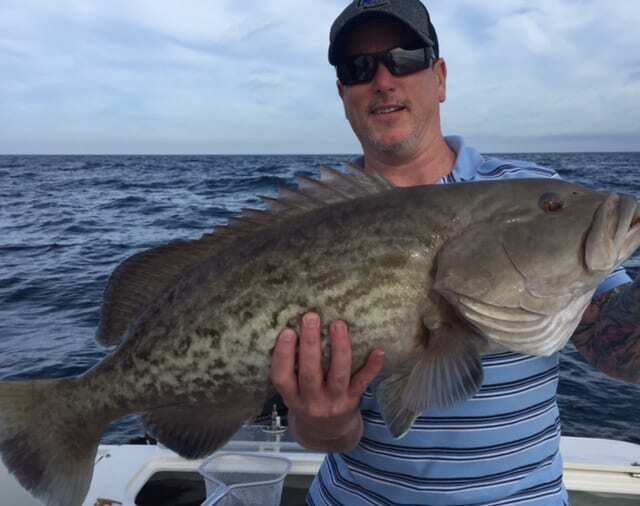 The most sought after and accessible to catch during a day trip is the Gag Grouper. 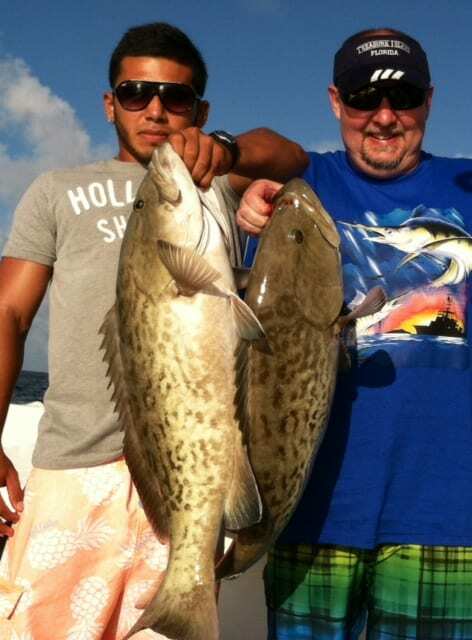 These are my personal favorite because of their aggressive strike and hard fight! 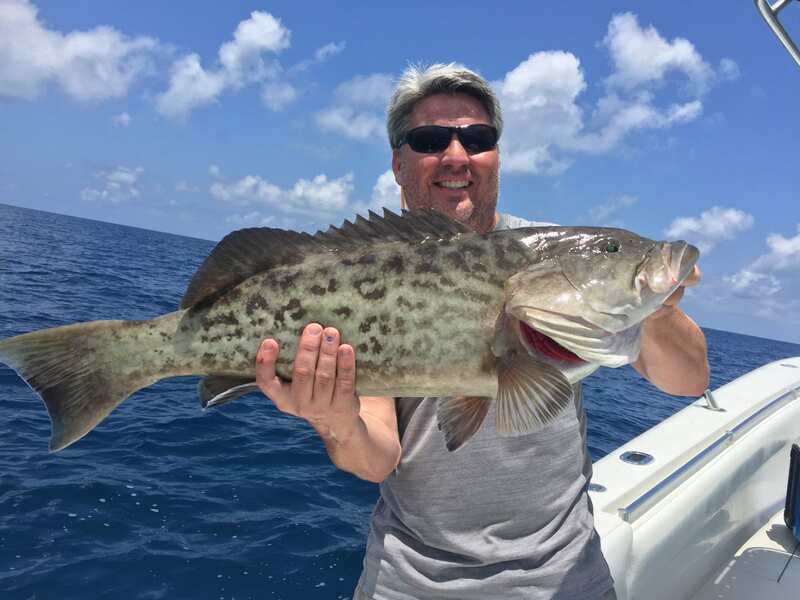 It doesn’t hurt that they are also considered the best eating of the grouper family. 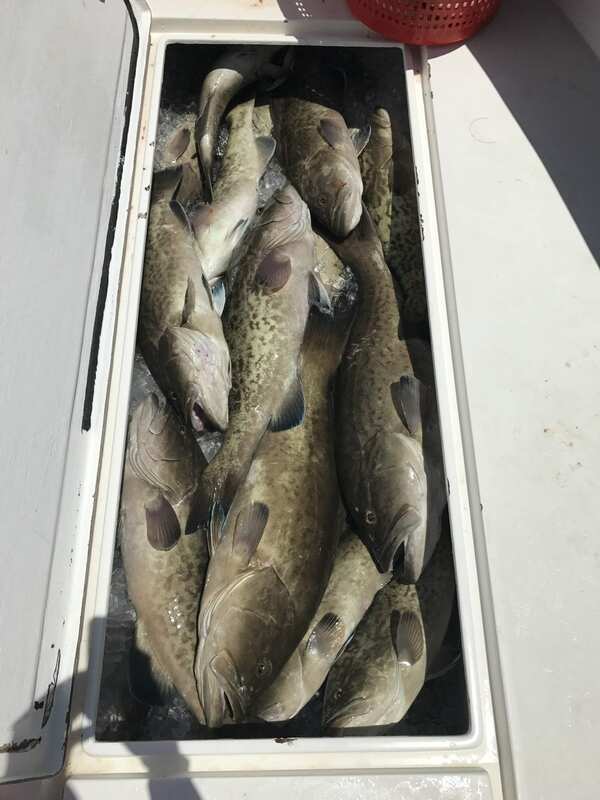 Though they’ll eat just about anything, though our charter boat usually uses live pinfish on these grouper fishing charters to get the best action. 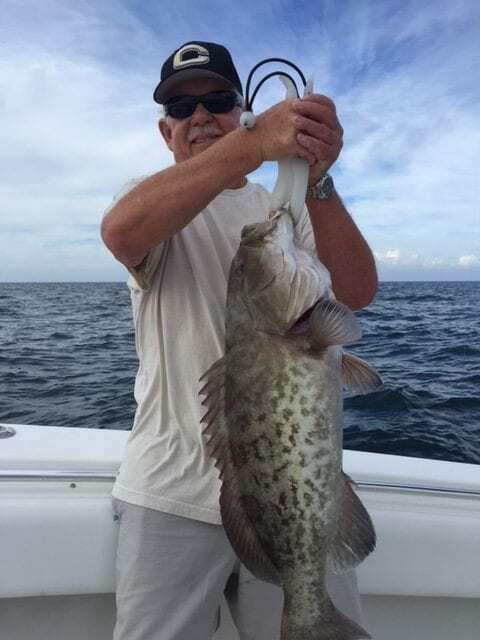 We use circle hooks and relatively heavy tackle while grouper fishing, this helps to keep them from grabbing your bait and heading into a ledge or rocks to cut you off. 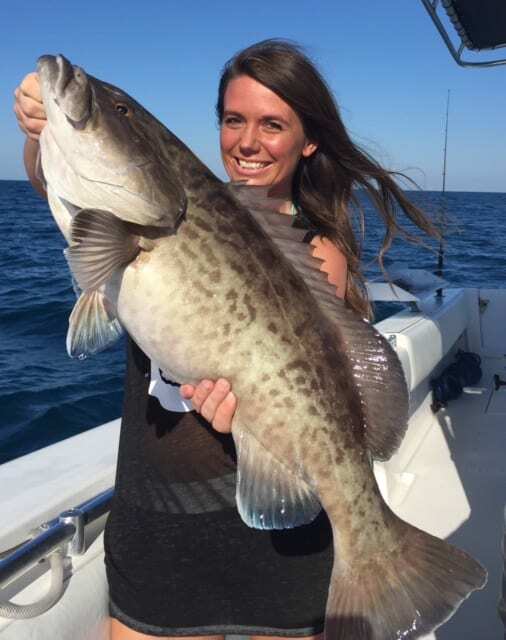 Adult gag grouper primarily feed on small to medium fishes, crabs, and shrimp. 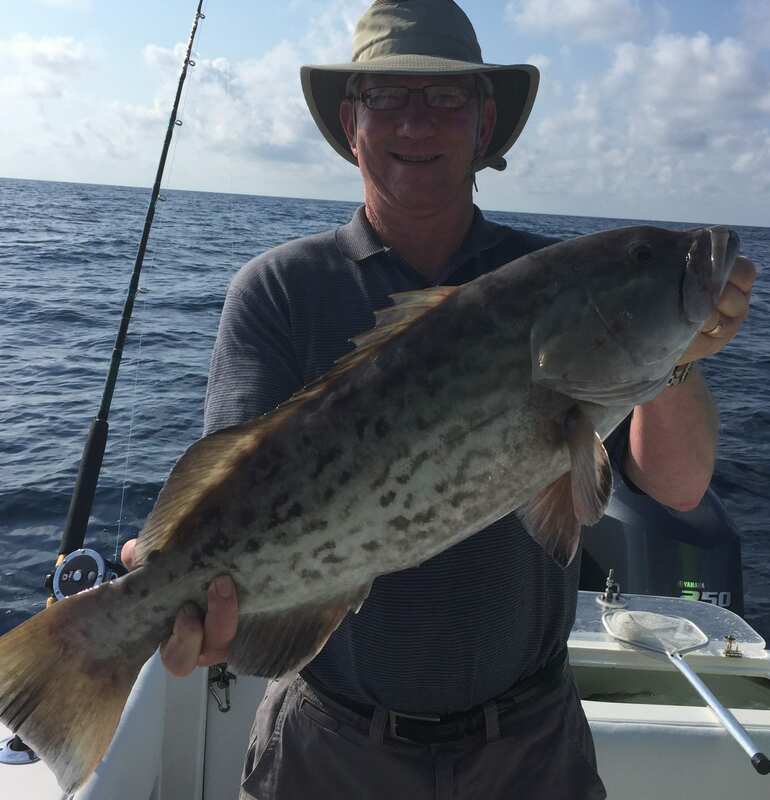 On our Grouper Fishing Charters we use mostly live bait and sometimes dead sardines in the winter. 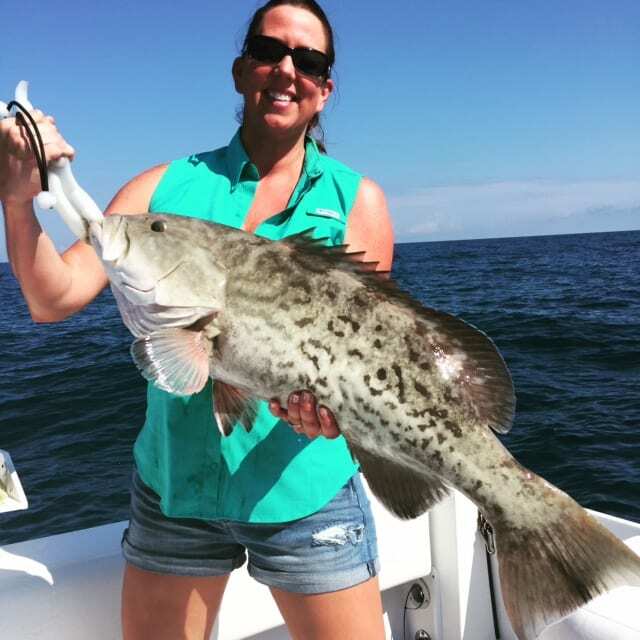 Grouper can be caught on any fresh cut bait, such as mullet or pinfish. 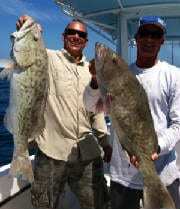 They will also eat squid, octopus, and crabs. 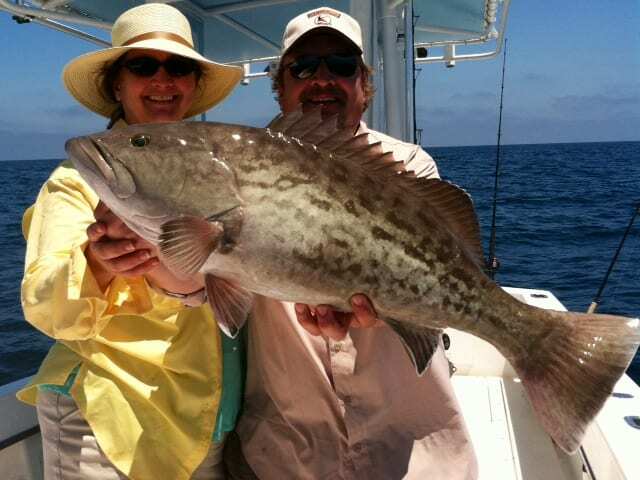 Live bait is by far the best bet, which is why we use live bait on the majority of trips. 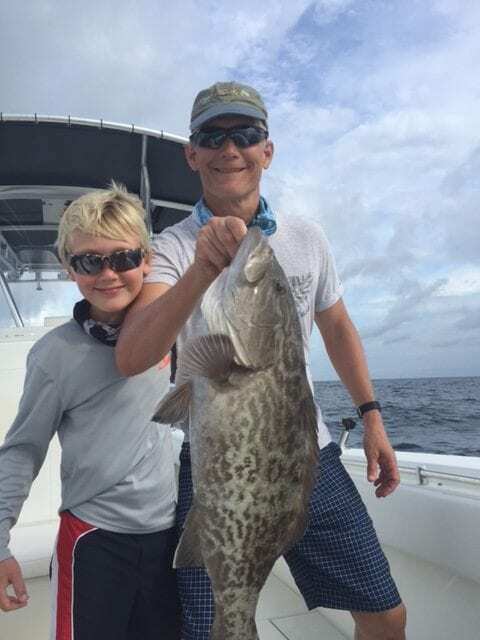 A live pinfish, a small gray snapper, or a live cigar minnow will draw a hard strike almost as fast as the bait gets to the bottom. The use of Shimano Butterfly jigs and bucktail jigs work extremely well certain months. 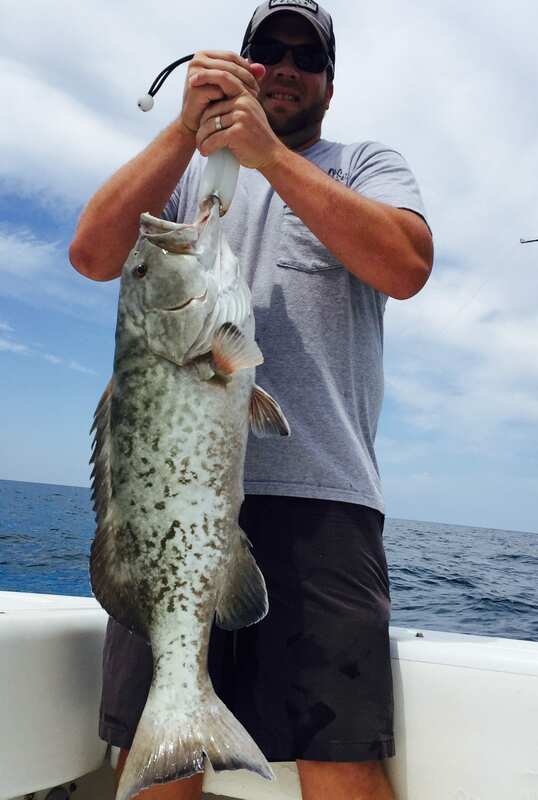 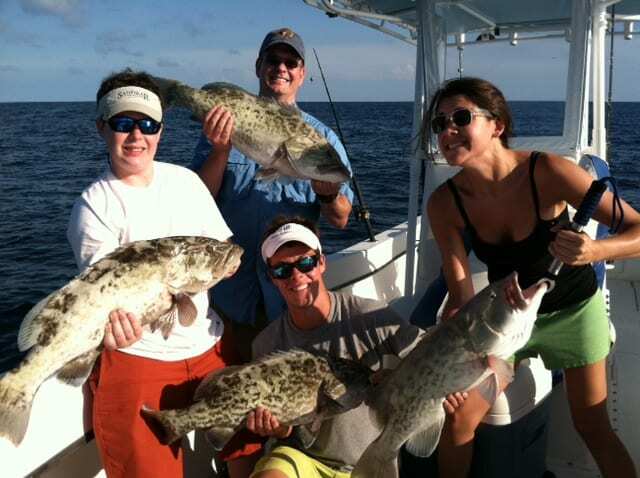 Grouper season books up fast, so be sure to reserve your deep sea fishing charters early!